Amazing! I have finally found you! I have traveled around Mexico for 40 years and always on the look-out for a good geography text of Mexico. I found an excellent biophysical text for the Baja (J.Minch & T.Leslie. 1991. “The Baja Highway”) but nothing on the whole country. I am particularly interested in the physical geography. Now that I am retired from my career in geology and later in land use planning, my wife and I travel Mexico every winter with our RV searching out the hidden secrets of Mexico. I can not wait to get your book! Is there any other physical geography text you would suggest? Keep up the good work. Wow! What took you so long?? We’re glad you’ve found us, and maybe you’d like to write a guest post or two on some of your experiences for our readers? Thanks for the suggestion of Minch and Leslie, which we hadn’t heard of previously. Unfortunately there is surprisingly little published on Mexico’s physical geography outside of academic journals. There have been several books (English and Spanish) published on plants, though not necessarily focusing on the natural (native) vegetation. We don’t know of any book about the geomorphology or climatology of Mexico, though there are several publications about geology (almost all in Spanish). PS Of course, if you like Geo-Mexico, you might enjoy my Western Mexico, A Traveller’s Treasury, available from Sombrero Books or amazon.com, as well! To the best of our knowledge, there is (sadly) no inter-city passenger train service in Mexico now except for the Copper Canyon line from Los Mochis to Creel and Chihuahua. 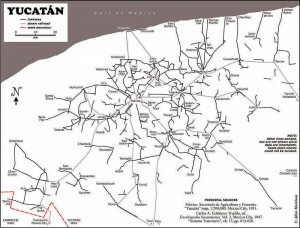 There are some local tourist-oriented trains, however, in locations such as the Yucatan and between Guadalajara and Tequila (the so-called Tequila Expess). 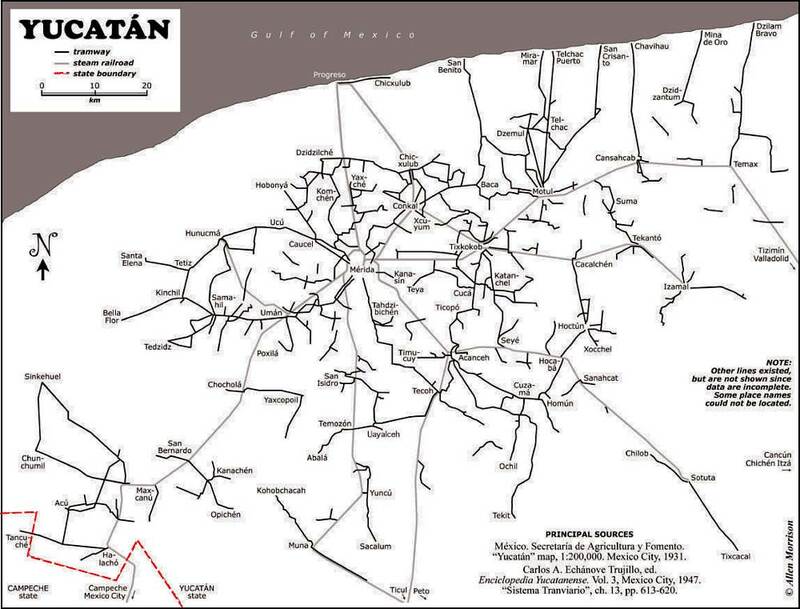 Are there any remnants of track in the Yucatan Standard or Narrow guage that could be made into a ‘preserved line’ ?.